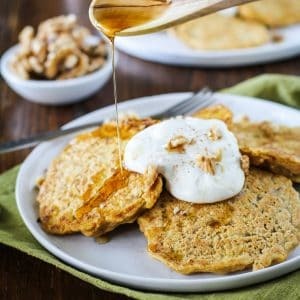 Moist and fluffy gluten-free butternut squash pancakes. 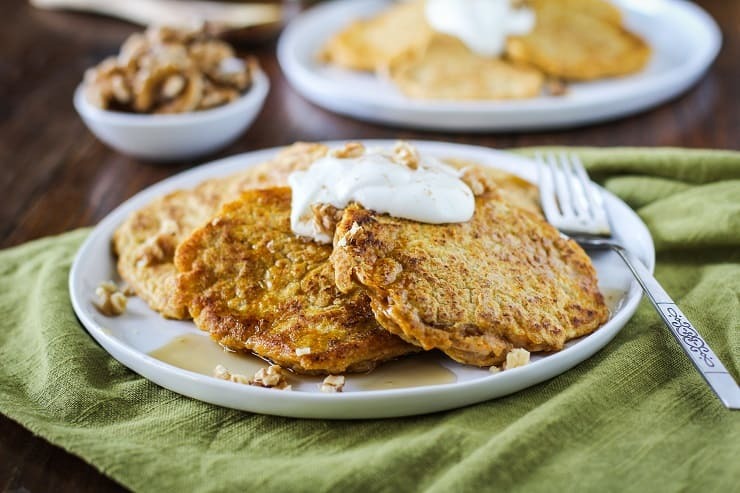 These delightful hotcakes are warmly-spice, naturally sweet, and taste like fall! Weeks ago, when I went on a squash-roasting bender, I had leftover butternut squash that was just dyyyyyying to be pancake-d. Meaning, I was dying for pancakes. I simply mashed it up, and into the batter it went. 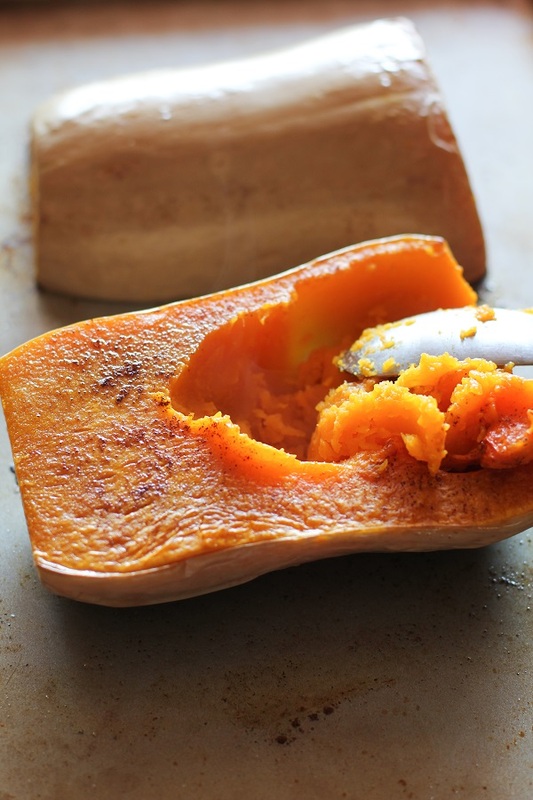 If you’ve never roasted a butternut squash, it’s fabulously easy. Simply preheat your easy bake oven to four hundo, chop off the tip and tail of the squash, scoop out the innards, and drizzle with some olive oil, salt, pepper, and cinnamon. Place both halves face-down on a baking sheet and roast for 40 to 50 (depending on the size of your squash). Boom! Pancake ingredients. I used Bob’s Red Mill’s gluten free all-purpose flour for the pancakes. If you don’t follow a gluten-free diet, you can easily substitute the gluten-free flour for regular all-purpose flour. The pancakes turn out fluffy with sweet, warm, cozy fall flavor all nestled right in. A dollop of yogurt and/or pure maple syrup would be my serving suggestion, although you could get real crazy and add a boozy syrup, a paleo salted caramel sauce, or coconut whipped cream. Throughout the fall and winter, if you have any type of leftover roasted winter squash (or sweet potato), you can use it in these pancakes. Kaboocha squash pancakes are marvelous and we all know pumpkin is killer. 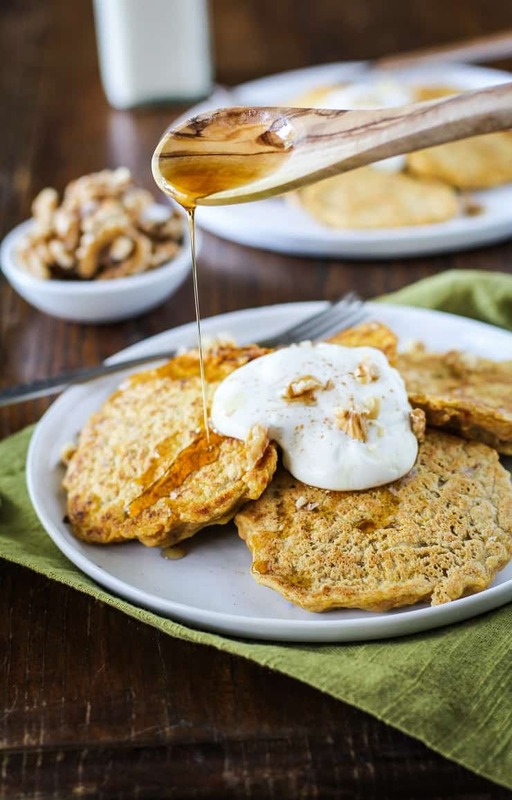 No matter the name of the squash, these pancakes are perfect for re-purposing your leftovers. It’s also perfect for your pancake needs, so there’s that. Squarsh for breakfast. Do dat! Add all of the ingredients for the pancakes to a blender. Blend until completely combined. Allow batter to sit 10 minutes. Serve pancakes with yogurt, maple syrup, chopped nuts, and/or your choice of nut butter. YES! I actually put mashed kabocha squash in my oatmeal and it’s SO GOOD. You know how I like pancakes, so these babies are totally my jam! Pinned! I think I could put butternut in almost anything and be so happy. I love it! Clearly I am all about these pancakes! I love a good recipe that repurposes some left over veggie goodness! Have fun in the city today! Dare I say that I love butternut squash above all other squashes? There now it’s out! 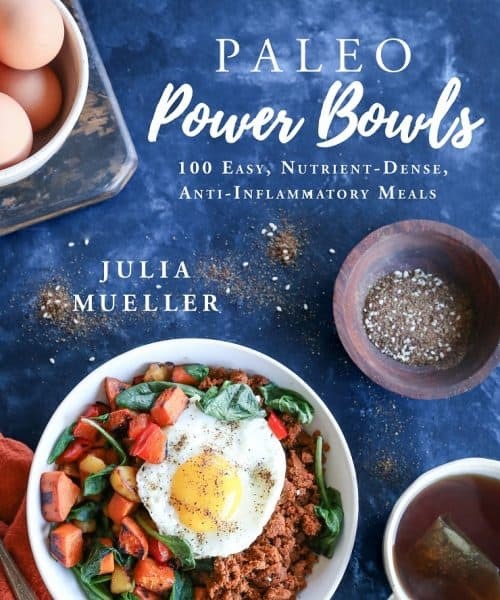 Yum Julia! These are gorgeous! I have yet to make pancakes with butternut squash (just pumpkin, so far! ), but these sound perfect. I’m with Abby up there–not sure about this squash in pancakes thingy, but I’m willing to try! Seems like a great way to pack some great nutrients into pancakes. Text time I wonder “Can I pancake that?” I’m just going to ask you. You’re always full of ways to transform my favorite ingredients into my all time favorite food, pancakes. That looks absolutely delicious! Enjoy your time in Chicago! I want to do that! I want to do squash for breakfast! Although for some reason, butternut squash always feels like more of a fruit than a vegetable to me… Probably because I put it everywhere I’d put fruit! about it. Anyway this is my way of saying, I’m loving this different pancake recipe! Omg! Perfection in a pancake – love the fall flavours! Mmmm! Love butternut squash. What a great idea to use it in pancakes! Why should pumpkin get all the love, right? 🙂 Cannot wait to try these. I’m glad to see that I’m not the only one who likes squash for breakfast! So good! Love this recipe! I went a little pumpkin nuts – been wondering how/what to do with 6 cups of the stuff. Light bulb! YES. Butternut squash always! These look awesome, and so appropriate for fall. Hidden veggies always win 🙂 Thanks for sharing! I don’t eat pancakes often, there is not much of a tradition for it in the UK but these look so amazing I think I will have to make them a sunday morning breakfast! Okay, why have I not roasted butternut squash like that before? Pumpkins I cut, scoop, and roast like that, but for some reason I’ve been spending a million hours cubing butternut squash before I roast it. Why? Ugh. Anyhoo, these pancakes look fab. And it’s cool that butternut puree is getting a little love when Pumpkin is all busy stealing it’s thunder right now. Great recipe, thanks. mmmmmmhhhhmmmmmm! That’s how I roast alllls my squarshes. I love the way they turn out 😀 Thanks for the sweet note, Katie! I’m always amazed that pumpkin gets the full limelight, when all winter squash is so sweet and delicious! I can’t believe I missed these! I adore the idea of putting butternut squash in ma pancakes. Oh man, they look amazing. These will definitely be happening when I return! You know I always have extra squash in my fridge, right? It’s an addiction. And one I will happily fuel with these pancakes! I’ve also got some leftover butternut squash in the fridge AND a bag of Bob’s Redmill gluten-free flour. Guess what I’m making this weekend?! Heck yeah, sista! Let me know how you like them! I just made these and they are amazing!!! Especially topped with the yogurt and a little real maple syrup like you suggested! We are still eating them as we speak but so good I had to comment immediately!! Had some leftover butternut squash in the fridge and pancakes on the brain. This recipe was exactly what I had in mind. The flavor was awesome! But they didn’t cook all the way in the middle. I often have this problem with gluten free pancakes. Any suggestions? 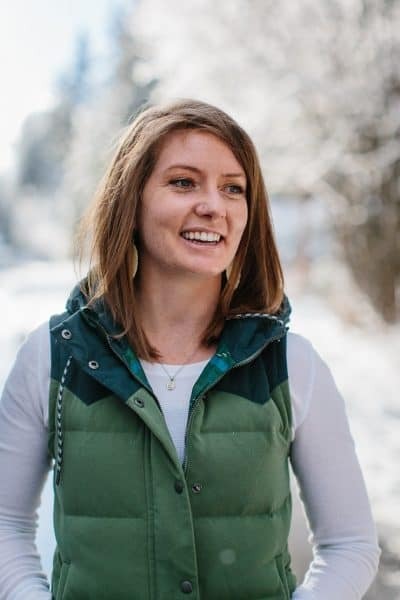 I have tried many GF pancake recipes and 2 commercial GF pancake mixes that show pictures of (or claim to make) thick, fluffy-looking gluten free pancakes. Not true in my experience. A thick GF pancake won’t cook through and is always gummy. I have found that only thin pancakes cooked over medium-high heat cook through and don’t get gummy. Best pancakes ever! So tasty! I used acorn squash because that’s what I had and added 1/4 cup extra almond milk because my batter was a little thick. Do these reheat well? How about freezing them? Thanks! The pancakes freeze well and reheat well! I store them in a large ziplock bag and reheat them in the oven 🙂 Hope you enjoy.